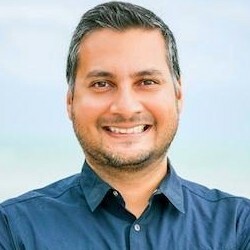 One-third of marketers say they do not know which digital marketing tactic has the biggest positive impact on revenue, according to a recent report from Webmarketing123. The report was based on data from a survey of 600 marketing professionals (a combination of B2B and B2C) based in the United States. 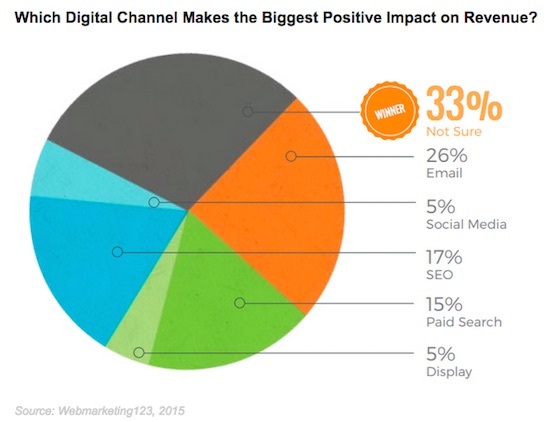 Some 26% of respondents say email is the digital marketing channel with the greatest positive impact on revenue; SEO is second (17%), followed by paid search (15%), social media (5%), and online display advertising (5%).